For those who don't know this kind of music and having "cramping" mouth saying bad stuff on this genre, stay the hell away from melodic death metal because you don't have a clue. 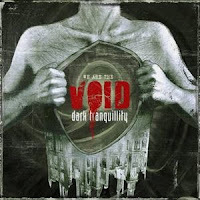 We Are the Void is another very nice melodic death metal album from the kings of the genre. Mikael Stanne is once again stellar on vocals, the musicianship is excellent and the songwriting once again strong. Yet another amazing piece of melodic death metal from the near-legendary Swedish masters. You know the drill: amazing melodic riffing, great soloing, beautiful keyboard playing and the awesome vocals of Mikael Stanne. We have it all here and we even get a few passages of Stanne's clean croon, which I personally love. I actually think he sounds a bit like Morten Veland sometimes, with his deep, melancholic voice. Either way, I love it. Every song on here is a keeper for me, although some do seem to stand out more than others, mostly due to either keyboard playing or catchy riffing. My favorites on here would have to the Shadow in Our Blood, The Fatalist, The Grandest Accusation, Her Silent Language and Iridium... and I'm holding back, haha. So, We Are the Void is everything I wanted and then some. Dark Tranquillity just shows no sign of slowing down or weeping out. One amazing album from one amazing melodic death metal band. A must for any fan of the genre which likely won't be topped for me in 2010.